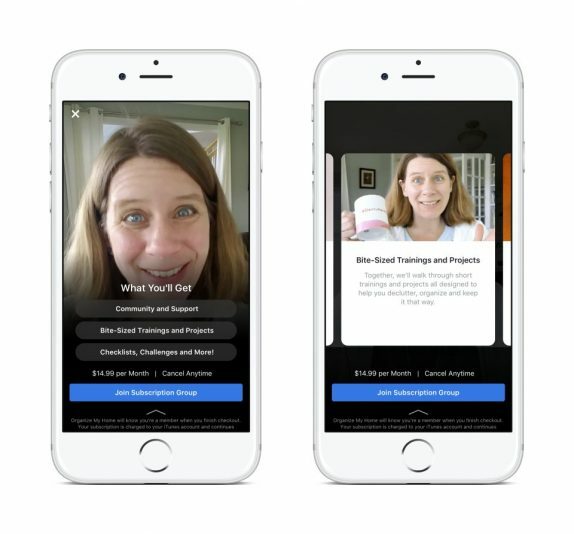 Facebook today announced that it testing subscriptions with a small number of groups to continue to support group admins who lead these communities. The company says that this is to help group admins who invest their time and efforts in balancing and maintaining the groups. Subscription groups are intended at making things easier for admins to provide with built-in tools, and to save them time so they can focus on offering members-only content. For members, they’re now able to sign-up and manage their subscription through the Facebook app for iOS and Android. This subscription group falls in line with the experience that Facebook made available to support video creators earlier this year. As said above, this subscription groups pilot is being tested with a small number of groups across a range of interests who will share input and feedback along the way. This set of groups include Grown and Flown Parents: College Admissions and Affordability, a dedicated college preparation group with access to college counselors to help prepare parents of high schoolers for the college application process; and Meal Planning Central Premium, a meal preparation group that includes weekly meal plans, shopping lists by preferred grocery store, and more. After it collects the feedback and response to the pilot, Facebook will gradually expand and improve its offering.